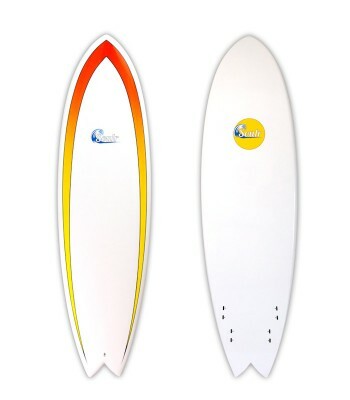 --- Please Select --- 6'4" x 21" x 2.62"
The Soulr performance fish surfboard combines the speed and agility of a shortboard with the float of a fish. 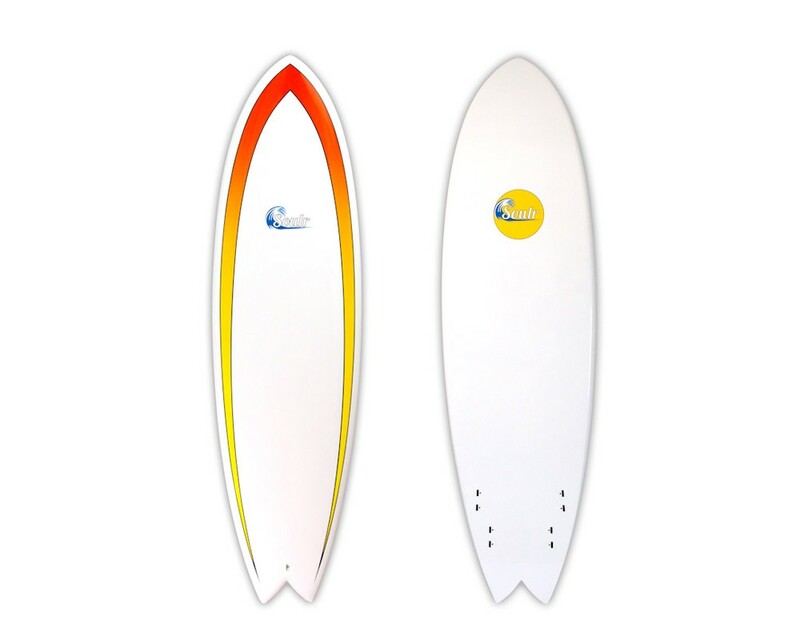 We made this board a bit narrower than our retro fish, but still wider and thicker than our shortboards. 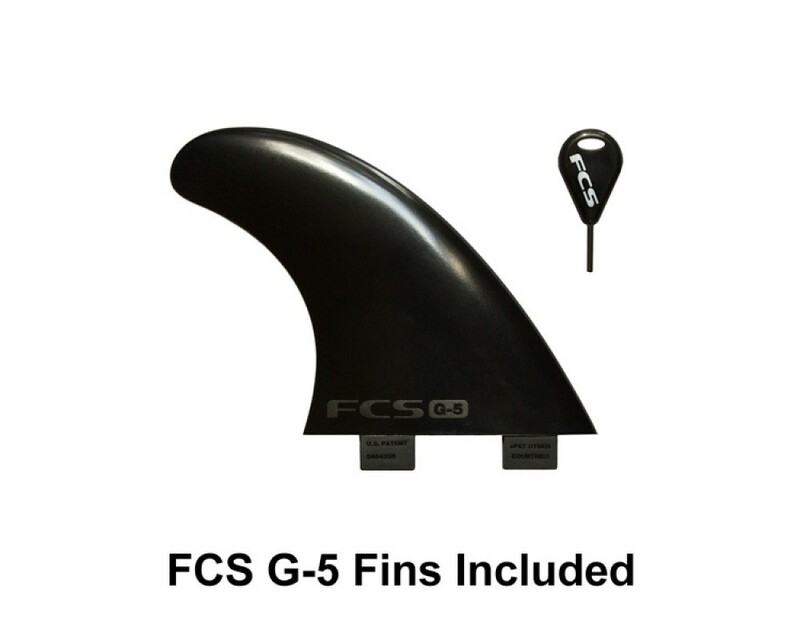 And with the quad-fin FCS setup, this fish will hold better on steeper waves and provide additional drive down the line. This quad fin fish is great for any type of wave, big or small. Length 6'4" x 21" x 2.5"